Tommy Tynan is a true Argyle legend, remembered by fans as one of the club's all-time greats. He scored 291 goals in 704 senior professional matches, including 145 goals in 310 appearances for the Pilgrims. He was part of the 1984 team that reached the FA Cup semi-final and won the Player of the Year award three times. He also won the Third Division Golden Boot in 1984-85 as the division's leading goalscorer. Tynan began his career under Bill Shankly in his native Liverpool after winning a talent competition in the local newspaper. After a loan spell with Swansea City and a summer with Dallas Tornado, he left Liverpool without making a first team appearance, joining Sheffield Wednesday. After two years there, and a short period with Lincoln City, he joined Newport County, forming a dynamic striking partnership with John Aldridge. 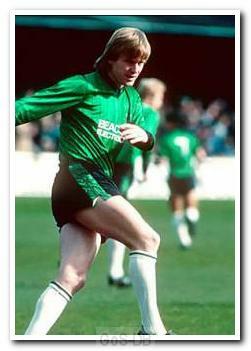 His goalscoring record led to a move to Argyle in 1983 and he established himself as a prolific goalscorer. 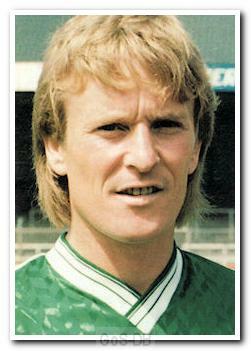 After requesting a transfer for domestic reasons, Tynan moved to Rotherham in 1985. However, he came back to Argyle on loan towards the end of that season, scoring ten goals in nine appearances, which helped secure promotion to Division Two and a permanent return to Home Park early in the next campaign. 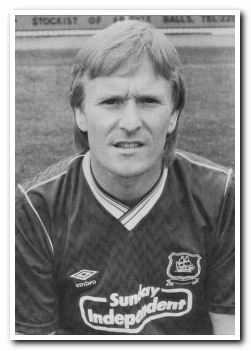 Tynan enjoyed four more successful seasons at Argyle before re-joining manager Dave Smith at Torquay United in 1990, and then ended his career with a season at Doncaster Rovers.